Coppell High School students are rushing to get their school supplies this fall. Several students splurge on more high-quality, aesthetic school supplies, in order to insure their productivity. It is finally the season. No, not the season for pumpkin spice lattes, leaves on the ground and the chilly atmosphere (or as chilly as it can get in Texas). It is not the time for heading to Friday night football games and cheering on the Cowboys. Nor is it the time to be meeting new friends, or figuring out where you are going to sit at lunch. No, this season is for one purpose and one purpose only: school supplies. School supplies are not just something your teacher requires so you can take notes on how to analyze a poem, or write a summary of the different aspects of pre-colonial America. They are an aesthetic and ultimately, the determiner between a 67 and 97 . How can you study if you have nothing pretty to study with? You could not possibly pass a class with regular, boring black pens. Of course, as your teacher is handing you their syllabus, you could just follow their instructions: “Binder, spiral notebook, black pens”. Seems easy enough, right? But no, you need to have only the most high quality supplies, and need an abundance of them. How are you going to succeed in your class if you don’t even have 15 pastel highlighters? And you cannot just have the basic highlighters and pens from Walmart or Target. You need the most aesthetic and effective supplies, such as the Zebra Mildliners,the Muji Gel-Ink Ballpoint pens and naturally, a Moleskine notebook. So, you click away on that yellow button on Amazon and wait patiently. 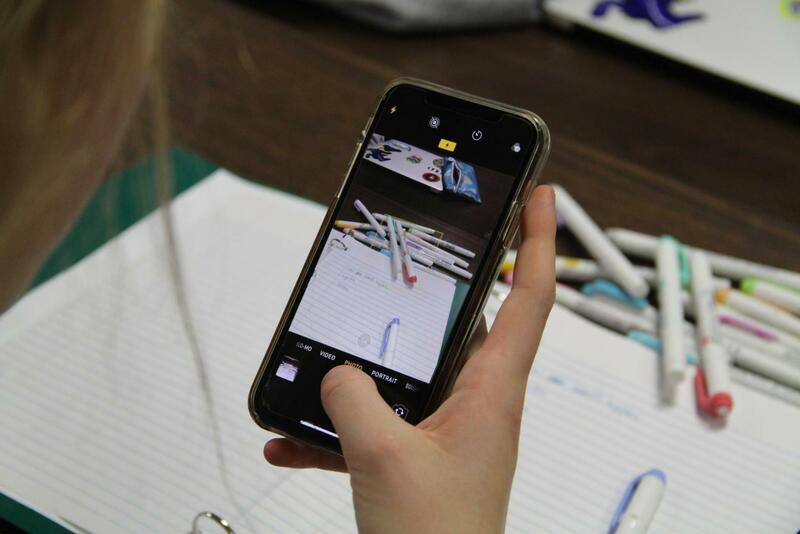 During that time, you could do your school work, or you could plan for the perfect note-taking system that would make the prettiest pictures. Finally, three weeks into the school year, you are equipped to make this school year the best year yet. Your highlighter, pens and notebooks are organized into a beautiful rainbow that you cannot stop looking at as your teacher drones on and on about matrices in Pre-Cal. But your journey with your beautiful and completely necessary school supplies is not at its end. No, the journey is just beginning as you pull out your English required reading and your laptop. You open your book, open your laptop, uncap your highlighter and…pull out your phone, as you take dozens of pictures from dozens of angles with dozens of filters, until you find that perfect Instagram-worthy picture. Among the scatter of artfully and purposely placed papers, the photo perfectly captures how studious you are. “Ugh, so much work, so little time” you caption, waiting for the likes to come in. As you scroll through comments on how pretty your supplies are, you feel a sense of satisfaction. This is what makes all of your hard work for school worth it.